View Singapore Visa Application Centre, Moscow, Russia phone number, email, address, working hours, website. View Singapore Visa Application Centre, Saint-petersburg, Russia phone number, email, address, working hours, website. View Singapore Visa Application Centre, Riyadh, Saudi Arabia phone number, email, address, working hours, website. View Singapore Visa Application Centre, Jeddah, Saudi Arabia phone number, email, address, working hours, website. 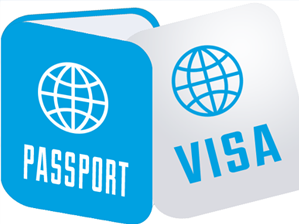 View Singapore Visa Application Centre, Bangkok, Thailand phone number, email, address, working hours, website. View Singapore Visa Application Centre, Dubai, UAE phone number, email, address, working hours, website. View Singapore Visa Application Centre, Jakarta, Indonesia phone number, email, address, working hours, website. View Singapore Visa Application Centre, Tokyo, Japan phone number, email, address, working hours, website. View Singapore Visa Application Centre, Osaka, Japan phone number, email, address, working hours, website. View Singapore Visa Application Centre, Nagoya, Japan phone number, email, address, working hours, website.